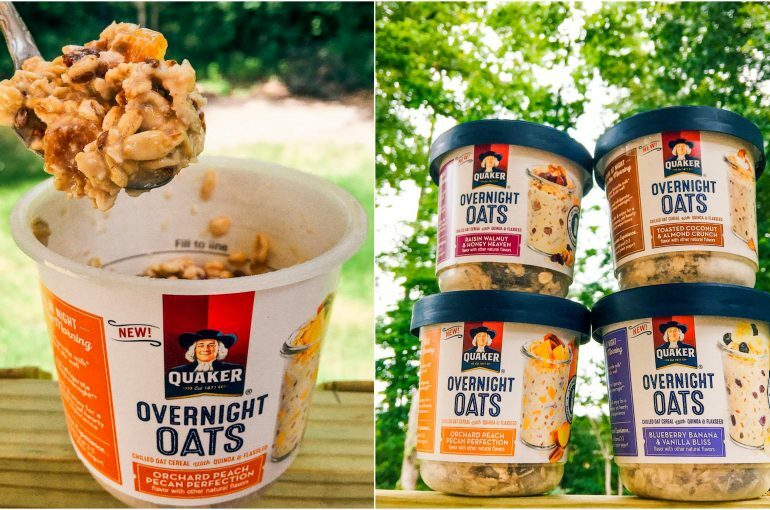 Quaker’s Overnight Oat are the first-of-its-kind to be available nationally! 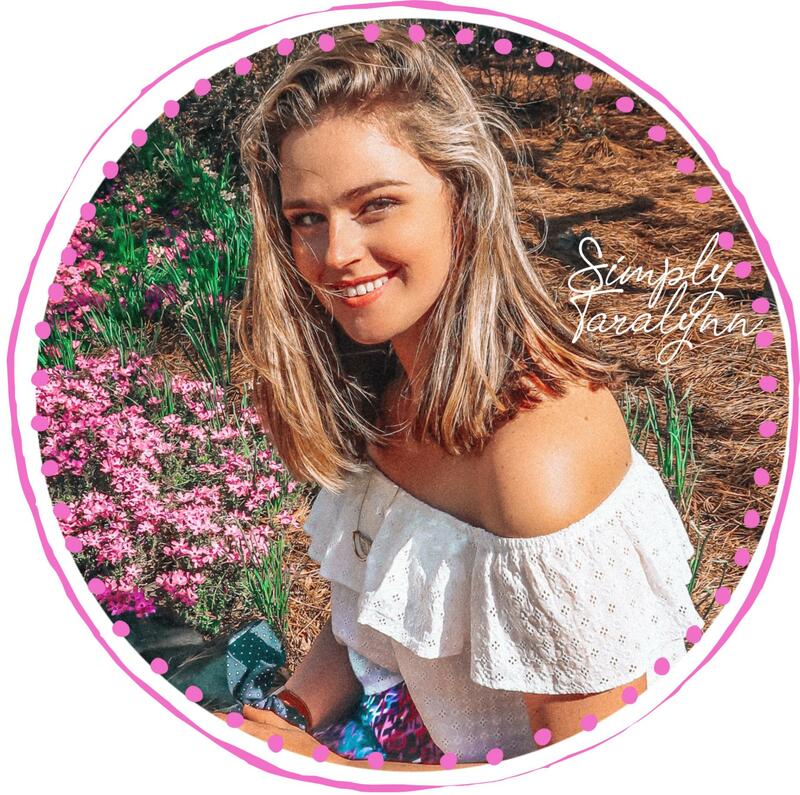 They actually created the product after being inspired by the consumer-driven trend all over social media. They became an overnight sensation, literally. 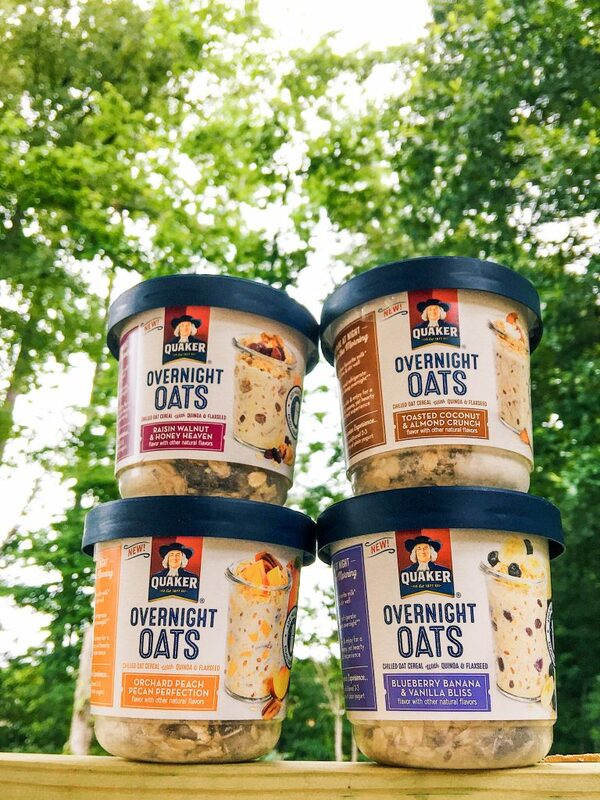 When people talked about eating refrigerated oats from the night before, I thought of soggy cold oats, and it didn’t sound that good. So maybe that’s why it took me so long to try it, but I’m so glad I did. 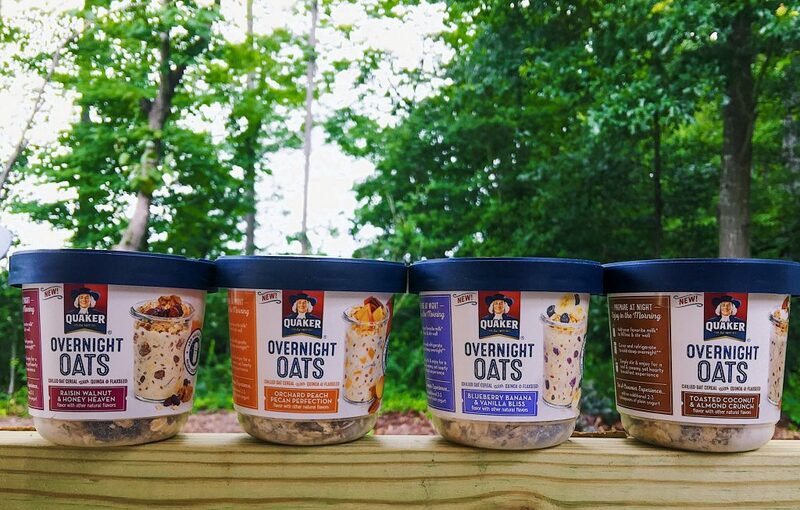 Not only are overnight oats tasty, but they are so convenient for a busy and active lifestyle. I’m honestly so excited about this product. Quaker has been a leader in oats for 140 years! 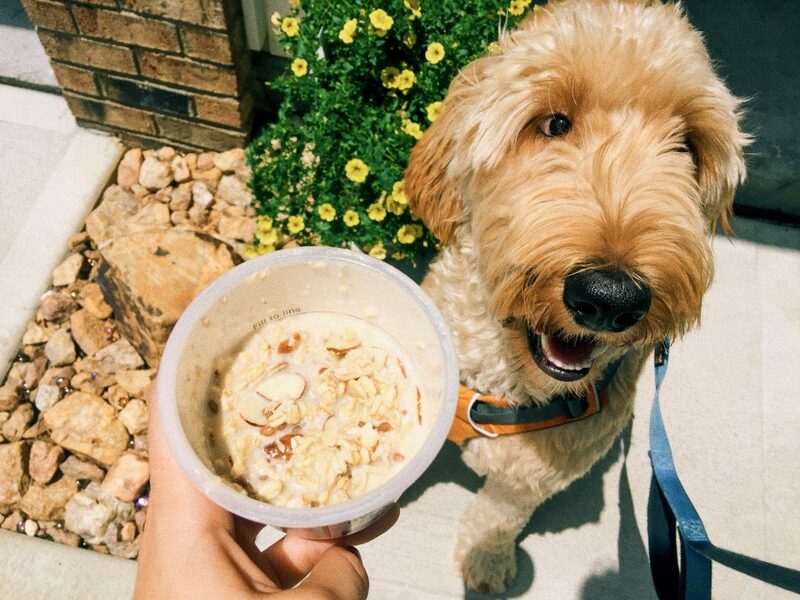 It was Quaker’s goal to specifically design each single-serve container to taste great with nutritious benefits included too! Oats play a huge part in my lifestyle. 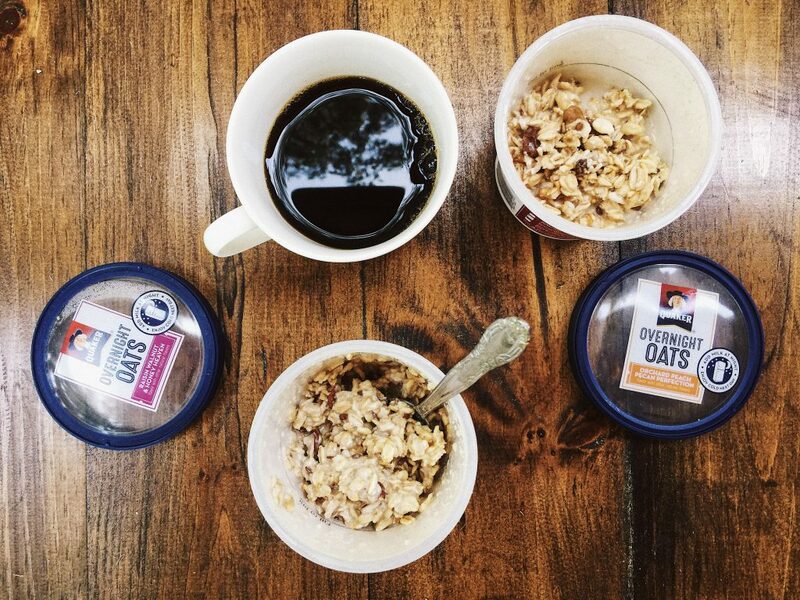 I often choose oats for my pre-gym, running, or morning carbohydrates. The flavor combos are so tasty and creative! Toasted Coconut & Almond Crunch. The Blueberry Banana & Vanilla Bliss flavor literally tasted like a fresh blueberry muffin! 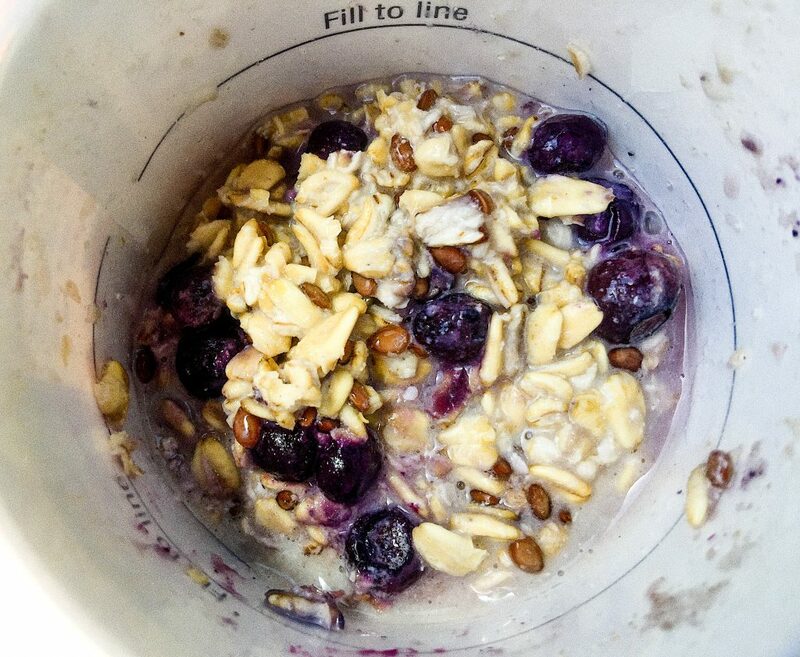 Quaker Overnight Oats are so easy to prepare. Simply choose your favorite milk, add it to the oats (up to the fill line), stir well, cover, place it in the refrigerator overnight and they’re ready to eat in the morning! I used almond milk in my oats, and they turned out great. 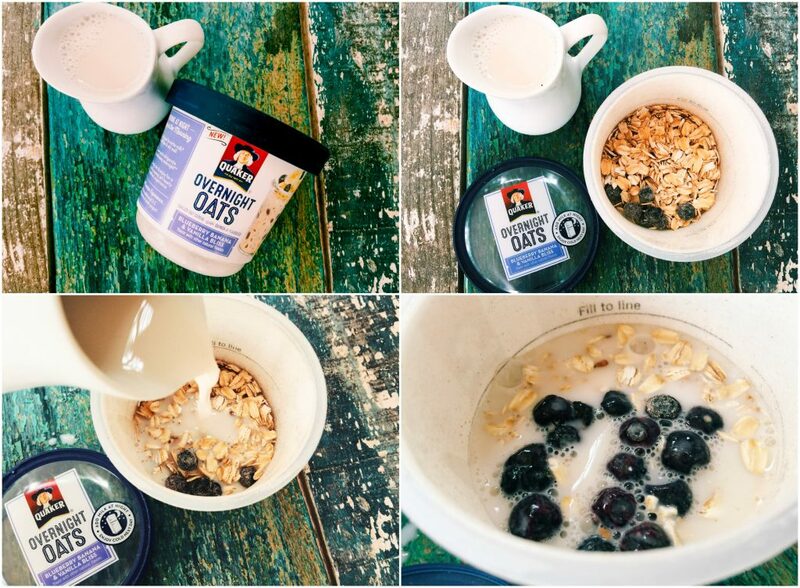 Don’t let your oats sit in the fridge longer than 24 hours though. Try to prepare them at least six hours in advance, stir again in the morning, and enjoy. 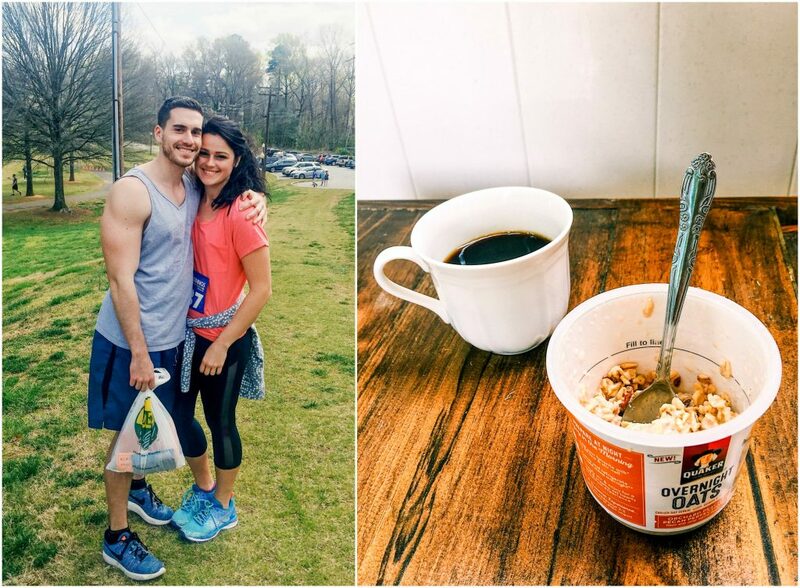 I tried out the oats before a boot camp workout. They are around 300 calories or less per container (before adding milk/non-dairy options), which is what I usually shoot for before a workout. If you want to add more calories, you can try adding peanut butter to the oats! I mixed peanut butter in the toasted coconut & almond crunch flavor, and it tasted like a dessert! If you use 1/2 cup of vitamin A & vitamin D fortified skim milk, you’ll get at least 11g of protein! 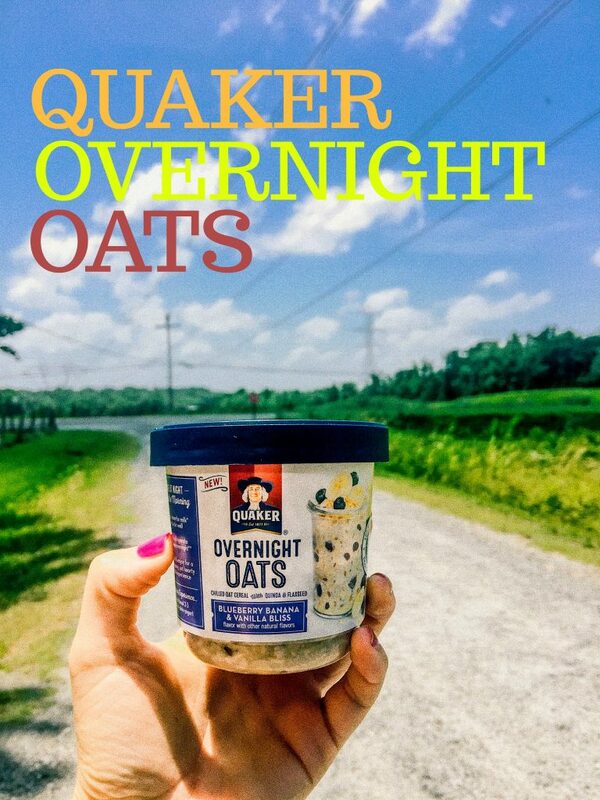 Quaker Overnight Oats have no added colors, no artificial flavors, and contain 100% whole grain oats (and other grains)! They also have a good source of dietary fiber (10 grams of fat or less per container)! It was so much easier to grab the prepared oats out of the fridge. I didn’t have to wait for the water to boil, wait for oats to cool, or deal with the mess. 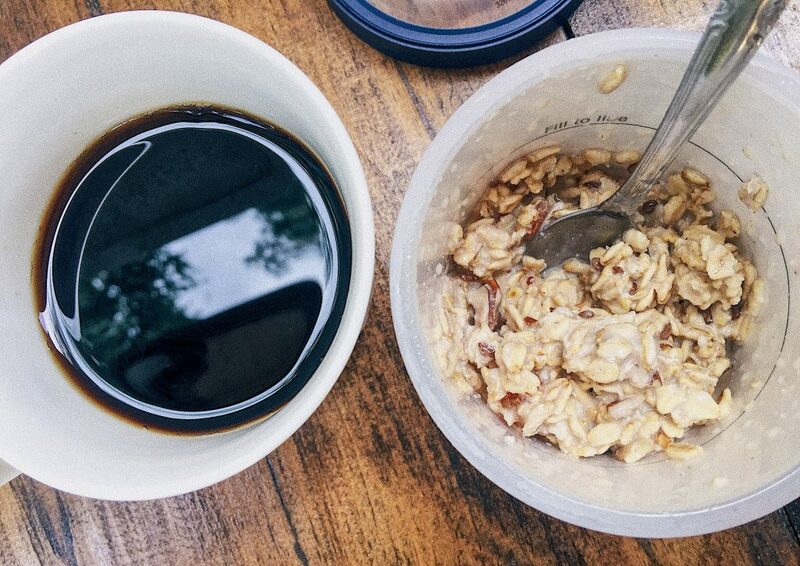 The Overnight Oats truly make for a hassle-free morning. If you have kids, making them the night before could be a fun way to get them excited about breakfast. Not to mention, I’m sure it’ll make breakfast run a bit smoother. I wish they would have had these when I was a nanny to two picky breakfast eaters. 1. Which flavor will you try? 2. Have you ever tried overnight oats? I’ve been wanting to try these, but I haven’t seen them in the store yet. I’ll just have to keep an eye out! Try Target if you can! do you eat it cold or heat it up in the morning? I saw these at the store but the added sugar kind of turned me off. Although I guess it’s a matter of convenience so you can’t please everyone! True true:) Everyone knows their body best! The blueberry really did taste like a muffin! I just bought ten for ten at Publix! Can’t wait to try them today. I wish they would make a brown sugar flavor! OHHHH that would be good! They have too much sugar! I saw these at the store and was interested in them. Thanks for the review. I will check them out next time! These would be good for road trips! I had a coupon to get a free one but I passed. There were 13 grams of ADDED sugar. That’s the same amount of sugar in a bowl of Lucky Charms. Sure, you get some fiber and protein, but I’m better off making my own overnight oats at home without all the empty calories. 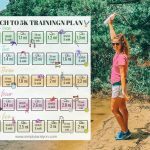 Love this idea for a quick workout fuel! I have seen those at the grocery store! Thank you for the review 🙂 I cannot wait to give them a try. What flavor should I start with? My kids and I are obsessed with these! These are so fun for kids 🙂 & super delicious! I filled my work fridge with these. I usually prepare mine when I get to work and eat it on the way home before the gym. 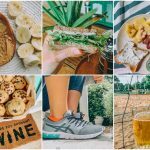 I make my own OOs all the time – I love adding banana slices, shredded coconut, an almond butter to mine (The almond butter makes the consistency amazing) . Sometimes I have a little for dessert and I add a few dark chocolate chips. That sounds so good! I loved ALLLLLLLL of them and that one was really good! The blueberry is just my favorite because I love blueberries in literally everything!! The blueberry banana and vanilla bliss one is right up my alley! I make myself some Quaker oats nearly every morning but I also have never tried overnight oats. I hear so many great things though! I was a little skeptical, but they turned out better than I could imagine!! Most grocery stores carry them! I found some at Target and my local grocery store the other day! Check the oatmeal section! The peach ones look so good! Can’t wait to try these ?Im always looking for a quick breakfast and these look really good! PERFECT for a quick breakfast! You can literally eat them cold out of the fridge! Hats especially alluring in the summer. 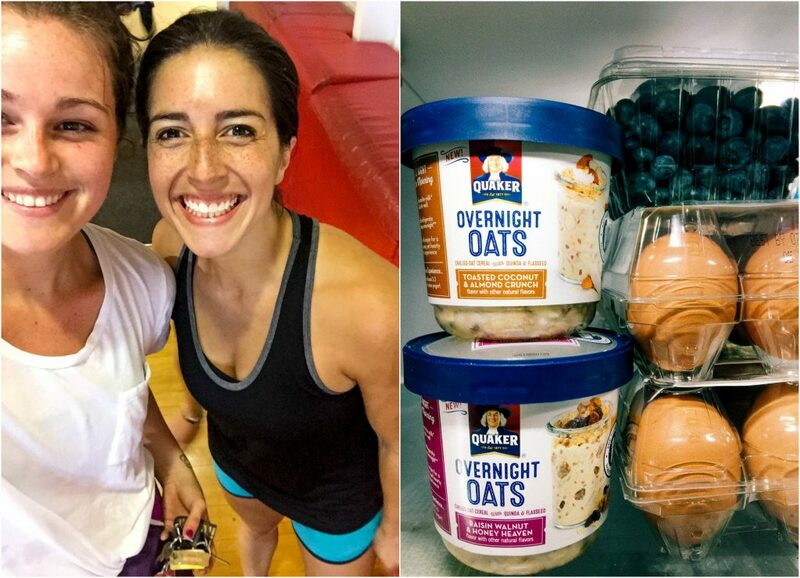 I’ve personally never made overnight oats simply because I’m.paleo and keto so I don’t. But they sure look pretty! Cold right out of the fridge. AND NO JUDGEMENT. I had no idea either! They are surprisingly better cold!!! 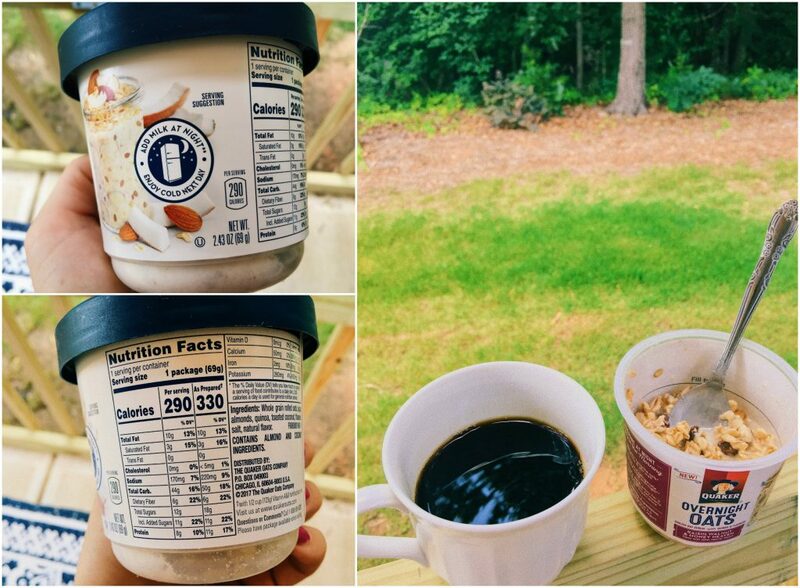 I’ve been seeing these Overnight Oats talked about everywhere lately – they really do look delicious!